Bryan Roskom made multiple on the baseball field, just not so many in his career. On the field, Roskom played at nearly every position on the diamond, even pitcher. The only position he never played at: Center. 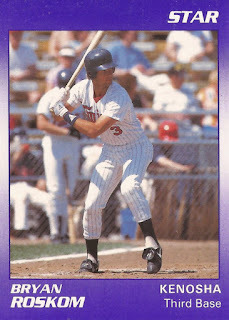 In his career, Roskom played three seasons, all in the Twins system. He hardly moved around there. He played all or part of his three seasons with Kenosha, in his home state of Wisconsin. He never made AA. Roskom's career began in 1987, taken by the Twins in the 42nd round of the draft out of Appleton High School in Wisconsin. 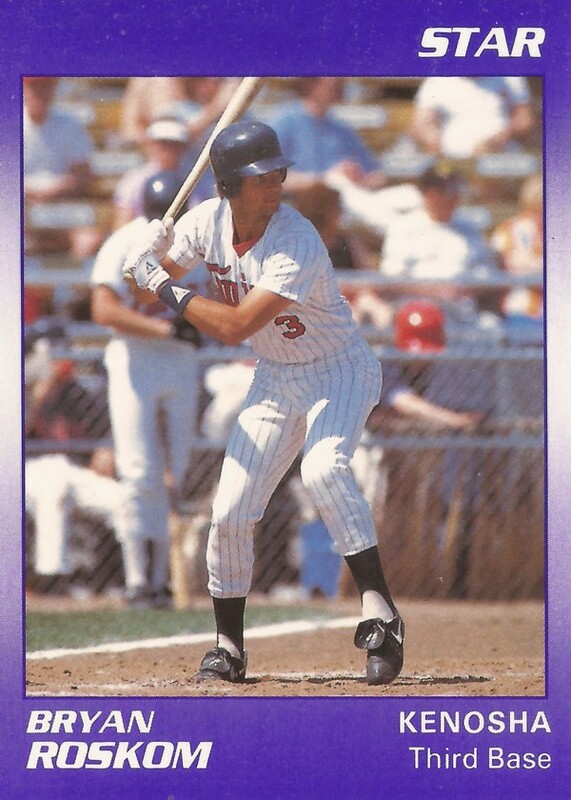 Roskom first took the field for the Twins in 1988, playing at rookie Elizabethton and single-A Kenosha. He got into 33 games at Elizabethton, hitting just .154. He got 10 games at Kenosha. He got just two hits in 25 at bats there. He then played all of 1989 at Kenosha. He played a full 91 games for the Midwest League's Twins. He hit .182, with five home runs and 25 RBI. In 1990, Roskom tried his hand at a new approach, pitching. He played 25 games in the outfield, but he got 11 on the mound. Between Kenosha and the rookie Gulf Coast League, Roskom went 5-2, with a 1.23 ERA. His move wasn't enough. His 1990 season marked his last as a pro. Roskom has since returned home to Appleton. He's helped out at Lawrence University and served as an instructor. He's also continued to play, serving with the semi-pro Appleton Legends, getting a hit and scoring in a 2004 game.